Words by Kevin Doocey on January 5, 2012 . 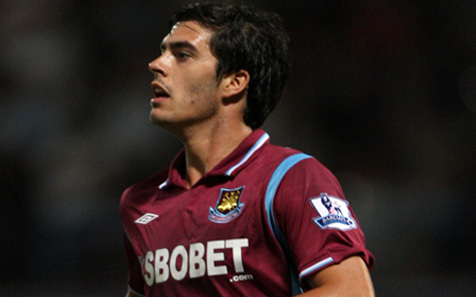 It’s believed that Newcastle United have made another bid for West Ham defender James Tomkins after their initial £2.5m offer was rebuffed over three weeks ago. With Steven Taylor out for the season following an achilles injury, Alan Pardew and his recruitment team have been out in full force looking for a replacement, with the Championship defender their number one target. Tomkins is regarded as one of West Ham’s better prospects at the moment and former Toon manager Sam Allardyce, now the main man at the Hammers is adamant that he can keep the former England U-21 international at the London side. The interesting thing about this is; a retired football agent who I won’t name, although you might know his name already, is claiming that Tomkins will hand in a transfer request at West Ham in order to force a move away - based on guidance from one of Tomkins advisors. That advisor happened to be involved in Andy Carroll’s famous move away from St.James’ Park where Carroll reportedly handed in a transfer request as well. All very convenient to say the least. Either way, Tomkins isn’t expected to be a West Ham player by the end of January, with West Ham trying to get the best price they can for one of their main performers of the season so far, despite David Gold claiming that the defender ‘is not for sale’ just today. Tottenham are expected to join the race for him, and up the ante, as well as upping the price. If they do want him then he’ll be a Spurs player by January’s end - we won’t match their price if they do bid, and he’ll opt for a stay in London as well, not to mention Spurs’ formidable Premier League position. It’ll be interesting to see how this fares out, I for one would love to see the 22 year old join NUFC as he’s well able to hold his own against the best of them, at least it seems so from what I’ve watched of him in both the Premier League and the nPower Championship. Time is a great teller..
What a load of crap. Tomkins is NOT going to Newcastle, especially if all Toon can muster is £4m. Are they having a laugh. He HASN'T handed in a transfer request, which was confirmed today. He WILL NOT hand in a transfer request. The lad supports West Ham! He WILL be a West Ham player come February, as he is NOT FOR SALE! In addition, did you not read the sports headlines today before writing this? Newcastle's improved offer (submitted today) of £4.4m has been rejected by West Ham, who claim he is not for sale. Sorry Toon, this one just isn't happening. If he were to leave it would be to a big club like Chelsea or Sunderland. You're right. Difference is, Rooney went to Manchester United, Carroll went to Liverpool. Newcastle, with all due respect, are not in the same class. If Tomkins goes, it will be to the Spuds. It certainly won't be Newcastle, especially if they're only offering £4m, and that's their third offer! If Newcastle want to offer £35m, they can have Tonks. He will go to Spurs if they come knocking of course, as I've mentioned in my article if you happened to read past the headline. I read through your article twice, but it's already out of date because we've rejected the new £4m bid. I just can't take this article seriously, when I read this: "Either way, Tomkins isn’t expected to be a West Ham player by the end of January, with West Ham trying to get the best price they can for one of their main performers of the season so far" Why isn't he expected to remain at West Ham? We will almost certainly go up with him in the side. We'll probably go up regardless. He isn't for sale, hasn't handed in a request and is being offered a new five-year deal. Doesn't sound like someone we're "trying to get the best price" for, does it? Good to hear. If football was only like that! Should the right money come in for Tomkins, he's off! It's all good and well being a passionate fan of the team you play for, like Andy Carroll was, but the people around him will have a part to play in any move he makes. All I'm saying - we haven't heard the last of this yet!